The lesson of the day was focused on the word “community.” Community comes from the word communis, which means “common, public, general, or shared by all or many.” We discussed the meaning of community as it relates to our own lives and surroundings. We first asked the kids what they define as their community. We noticed that we lacked a clear definition of the word, so had a hard time answering the question. However, we were all able to come to the agreement that community consists of a group of people bound together — perhaps bound by location or bound to an idea, organization or affiliation. We noted our East Harlem community, the Beacon summer camp community, and finally our Cyclopedia community! 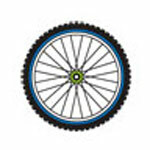 Bike riding is a great way to expand our community. By visiting the other boroughs, specifically the Bronx this week, we are broadening our surroundings, and therefore, our awareness and perspective. We finished the morning lesson by discussing some ways in which we participate in our communities, and some responsibilities we all share within the community. Today, we ventured to Starlight Park in the Bronx. Starlight Park used to be an amusement park in the early 1900s, much like Coney Island. However, it slowly fell apart and was demolished in 1940. 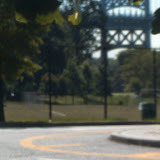 The new park was extremely polluted, which led to residents banding together to form the Bronx River Alliance. The goal/overall mission of the Alliance was to put pressure on politicians to fix up the park and build a greenway. To this day, Bronx residents are still fighting for this. The Ruff Ryders’ trip to the Bronx had a rocky start! Our trip was pushed to Friday at the last minute meaning that neither Jenne, nor Dan—or even Cappy would be able to join us! But the Ryders were not discouraged and trekked ahead undaunted. 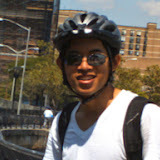 Today we were joined by Jimmy Chen, another Mount Sinai intern—and an experienced rider. The boys were shocked to hear that he had been riding for TWENTY years. We tried to explain that when they are 24, they too will have been biking for 20 years. After a very rambunctious lesson, we grabbed the bikes and headed to the East River path to crank out some of the copious amounts of energy the Ruff Ryder boys’ trips always bring. Oh of course! 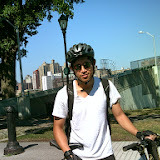 I forgot to mention that like the East River trip… the Starlight Park ride was ALL BOYS! So naturally, as soon as we left the school, the shirts came off and were replaced with the Cyclopedia pennies. 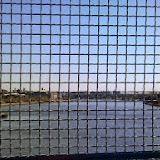 Off we went towards Randall’s Island- over the pedestrian bridge and past the ponies at the New York City Riding Center. We had some trouble with hills, but kept the pace pretty quick! Once we were over the bridge and in the Bronx we were hit with some stairs- but if you remember, the Ruff Ryders LOVE stairs. They are especially fond of them after Cappy’s cousin, Justin, taught them how to carry a bike on their shoulders. We tried to switch up the route from Tuesday’s Speed Duster ride, because it got pretty boring biking under Bruckner- we wanted to ride up to Starlight Park through Concrete River Park, but we couldn’t find the entrance! So we kept biking on streets (like pros) and made it to our destination! Of course nothing can be that easy, we were on the opposite side of a highway from the park… but rather than have an onramp that goes over the highway there were… you guessed it- STAIRS! Two steep flights of stairs stood between the Ruff Ryders and their destination. So we did what we do best hiked up the stairs with our bikes on our shoulders and cruised down the off ramp into our Starlight Park. Right before we left, everyone gathered around as Emma stuffed a few fronds off of a plant into her mouth. Only after she finished eating it did she explain that it was mugwort- an edible plant commonly used in Chinese, Japanese, and South Korean traditional medicine. And perfectly edible. The boys then ALL tried it! Many promptly spat it out due to its bitter aftertaste. Right when we were about to leave, Ethan’s gear shifter came off of his bike as he was trying to shift to a lower gear to go up a hill. He was a trooper though and powered up hills in 2nd gear. The ride home went very smoothly and we cruised back onto Randall’s Island and back to the Stanley Isaacs Center to document our ride! Today we had 3 boys get their 25 miler wristbands! Awesome work to Sebastian, Michael, and Estuardo! Great job to all the Ruff Ryders! Can’t wait to go to the John Harvey Fireboat next week! After this week’s ride, the Rough Riders have ___ Points. Keep up the good work! The hills was the HARDEST part of the biking. I liked the picture with the full bridge :D. I think this day was the most fun (not fun too) bike ride ever. Ethans gear broke XD but he was like the 1st or the 2nd person on the ride. Ruff Ryders!!!!! Today was a fun day.We did 13 miles and it was pretty tough going up the hills.It was fun when we went to the park and trying to do tricks with the bikes.The best part was when i was doing the obstacle and Emma was recording.The most challenging part was when my gear broke and when i was up the hills it was so hard. The reason i took this picture is because Jimmy was apart of my team.He has been bike riding since he was 4 years old and now he is really good at bike riding now.There was thing leaf called Mug Wort that tasted horrible because of the “Italian Spice”. And i challenged Jimmy to taste it,he did not like it.He was a nice and cool guy. the reason why I chose that picture is because I saw animals that many years ago used to be free like the wind, free in the wild, now are used by humans. the white horses that i saw were my favorite ones. the most challenging part of the ride was when we were going up the hills and the bridge because after we stopped my legs were shaking and I could not stand up because of how tired I was.